It was a day to remember at Sunset Beach today, as the World’s best were able to get a taste of this iconic break at its very best. The morning greeted us almost flat, with no swell to speak of, but the buoys indicating a major swell on its way, meaning that the Ocean was clean and groomed. By the time the swell started to show as we past the 8am mark, it was clear we were in for something special. 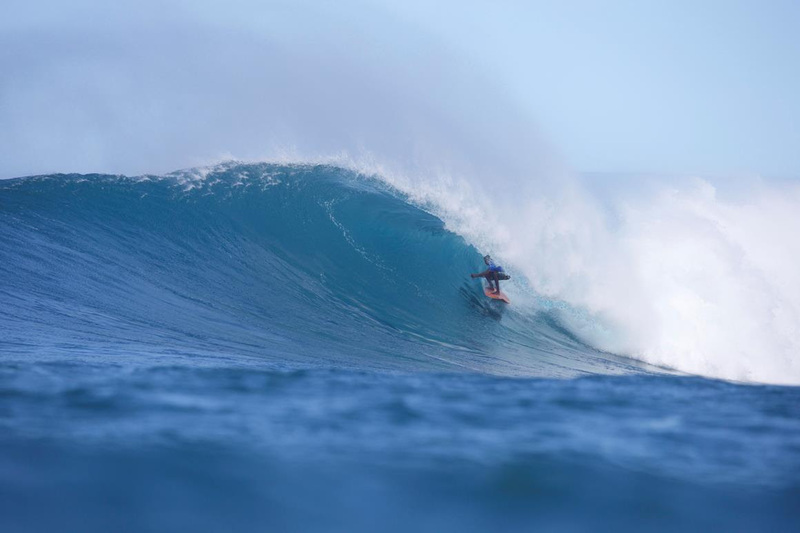 By 11am, the sets were some of the most beautiful and groomed looking walls imaginable, as barrels were becoming common place, as were scores in the excellent range. 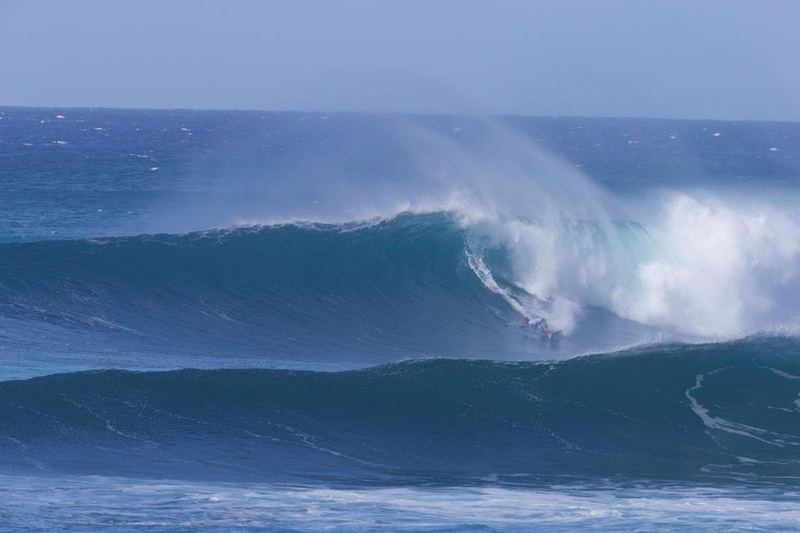 By 1pm, it was on fire, with a solid 6 – 8ft Hawaiian scale swell running with the occasional bombing 10ft set to keep the athletes on their toes, as we witnessed a day to remember, and according to many sources, one of the most memorable contest days at Sunset in history in terms of the caliber of conditions. This opening shot is Noa Ginella’s (Naish) 9 point ride and showcases the beauty that was today’s conditions at Sunset, as he threaded this all the way through, with a clean carve to finish, making it one of the standout waves of the day. Noa looked in his element today, and there is no doubt that he is someone to look out for as we come into the quarterfinals when the competition picks back up again over the coming days. While James Casey (JP Australia) is not the newest face on Tour (having competed over the last few years across many of the events), it seems that 2016 has seen him step his performance up to a whole new level as he has clearly established himself as one of the standouts of the event here at Sunset. With the surf suiting his style of power surfing perfectly, James was also masterful with his wave selection, picking off the best sets and milking them with a mixture of power turns and even barrel rides. His 9.73, the highest score of the day exemplified his form, as we look forward to see how this up and coming Australian fares when we pick competition back up with the quarters thru Finals. 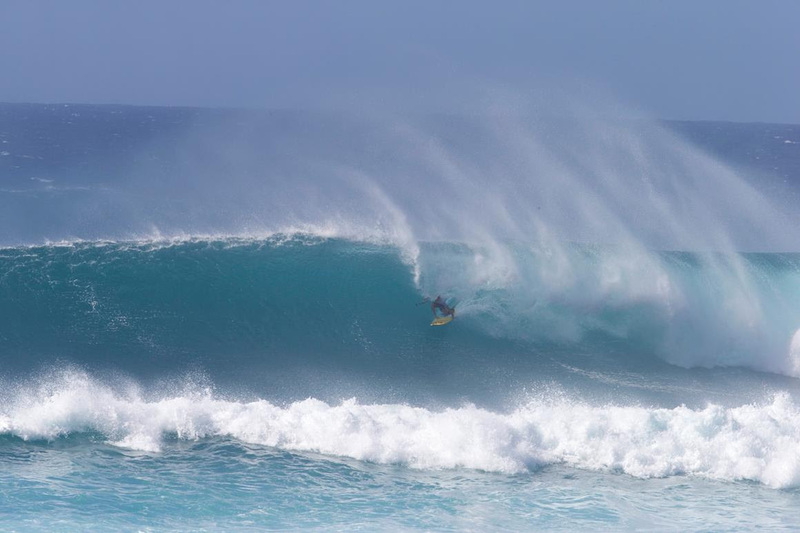 Mo Freitas (Focus SUP) once again put together a flawless performance today at Sunset Beach with an 18 point heat score total and a 9.67 ride that, had he made it out of the barrel on the inside, would have secured him a 10 point right without a doubt. Many said that his performance today was a benchmark of SUP surfing excellence, as Mo continues to be one of the major driving forces in high performance stand up paddling, and there is no doubt that his full rail power surfing approach is so ideally suited to Sunset Beach’s unique arena. Masa Motohashi is one of Japan’s great hopes on the Surfing World Tour as we have seen him feature and stand out at many events over the last few years, as he leads the charge for a growing field of Japanese athletes entering into the global scene. However, this year at Sunset, he came into his own, and there is no doubt that it is a sign of things to come, as Masa dominated his heat to advance on into the quarterfinals amidst a wealth of World Championship Tour talent. We are excited to see how Masa fares when competition resumes, as he will come up against 2015 World Champion Caio Vaz (Art in Surf), local legend Kala Alexander and the young upstart who made waves today at Sunset Beach, Marcio Grillo from Brazil. We have mentioned just a few of the performances from today that stood out, but the fact is that there were stand out performances heat after heat that continued to raise the bar for performance Stand Up Paddlesurfing at its very best, with Sunset Beach offering up the ideal ingredients to make it all come together. 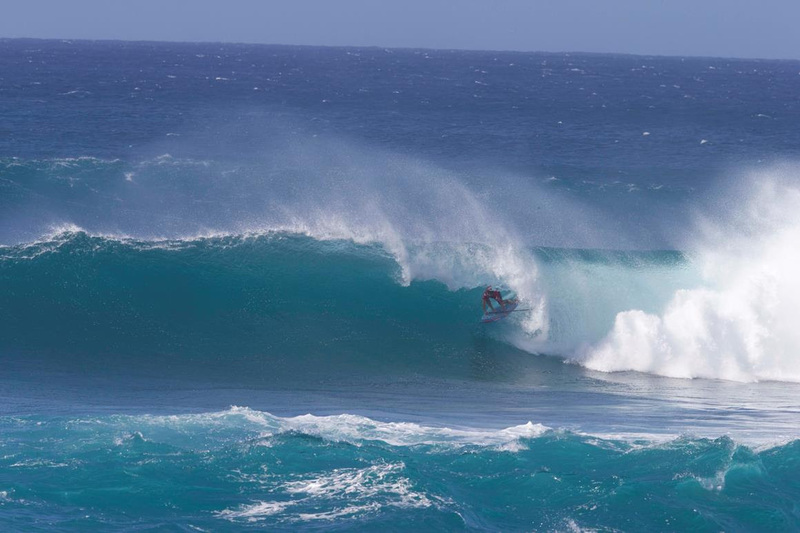 Defending World Champion Caio Vaz (Art in Surf) continued his assault on the 2016 World Title Race with another solid performance, as did 4 times World Champion Kai Lenny (Naish), who always looks so at home here at Sunset Beach. Ironically, these two athletes are two of three athletes to have ever taken victory at this iconic World Tour Opener, so will clearly be ones to watch out for as we head into the Final Day of action. Meanwhile, other stand out performances came from contenders who were perhaps not on everyone’s lips coming into this event. We have mentioned Masa Mothashi above, but coming all the way from Denmark and more known for his racing skills, Casper Steinfath (Naish) put on a couple of memorable performances today proving that he is a real double threat and is now sitting in the quarterfinals. Marcio Grillo from Brazil was also one of the major surprises from today’s spectacular day of competition, finding a string of beautiful barrels to earn his spot in the quarterfinals, while Giorgio Gomez (Infinity) found his groove out at Sunset, picking off some of the best waves of the day to advance alongside Mo Freitas (Focus SUP). Barrels were common place at Sunset today, as in the above photo we see Zane Schweitzer (Starboard) pull into another gem on his way through to the quarterfinals. Zane and Poenaiki Raioha (F-One) from Tahiti, who finished 2nd and 3rd overall respectively in 2015 were both on impressive form, as we look forward to see how they fare in the coming rounds and if they can maintain their winning momentum on Tour. As we look ahead to the next few days, we have a front approaching tomorrow thru Tuesday, that will likely bring strong winds with more North in them than the past few days, creating more stormy conditions for Sunset Beach. In addition, tomorrow is a National holiday here in the US (President’s Day), so no competition is permitted and our next call will be at 7am on Tuesday 16th February.